What sort of people do we want to be? What sort of people do we want to raise? 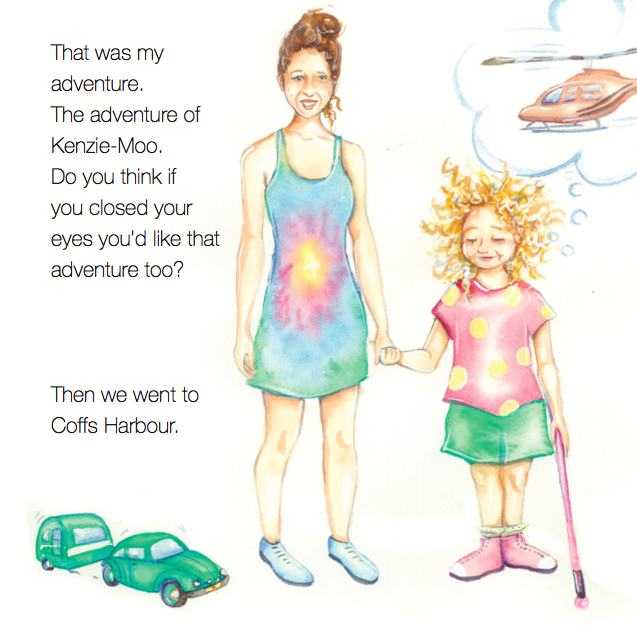 The answer to both these questions came to me when Tanya Savva approached me with her children’s book, The Adventures of Kenzie-Moo. 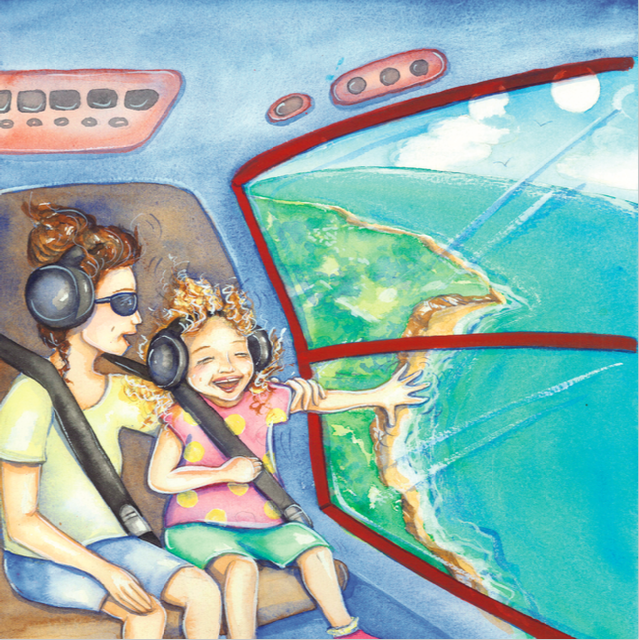 I created Little Wings Books, the children’s book imprint of Joanne Fedler Media if only to publish this gem of a book. Tanya’s life changed when her daughter Mackenzie was born blind and with a range of other physical challenges. As a single mother, she knew there was more to working herself to exhaustion and not having enough time to spend with her daughter. ‘I know she deserved so much more,’ Tanya says. 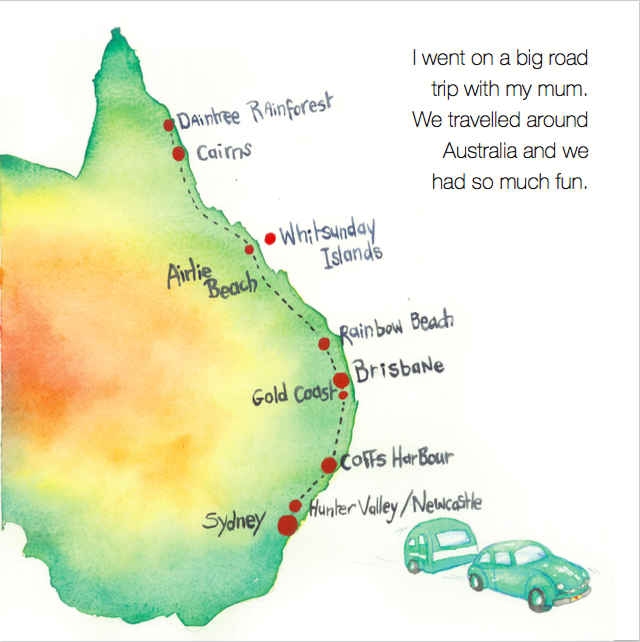 One night she wrote the book from start to finish and found a wonderful artist, Emma Stuart to do the illustrations. 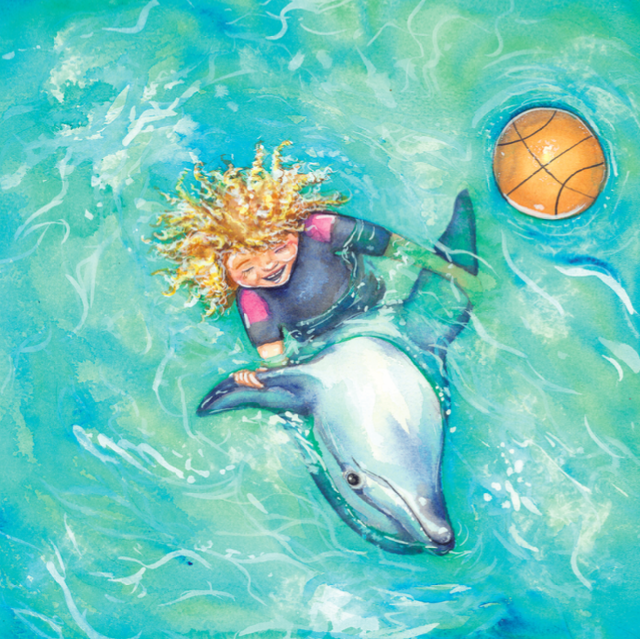 The book asks us to imagine seeing a dolphin, walking through a rainforest, flying in a helicopter and swimming in the ocean without the use of our eyes. As Kenzie-Moo delights in the sounds and sensations around her, she invites us to explore the world in ways we’ve never experienced before. ‘Next time you’re on an adventure, close your eyes to see. It has been written by a remarkable woman about a remarkable child; it’s a testament to the kind of love that makes this world bearable and ridiculously beautiful in the face of overwhelming challenge; and it holds a message that reminds us – no matter our age – to grab life with both hands and do that thing we’ve been wanting to do but have been putting off. 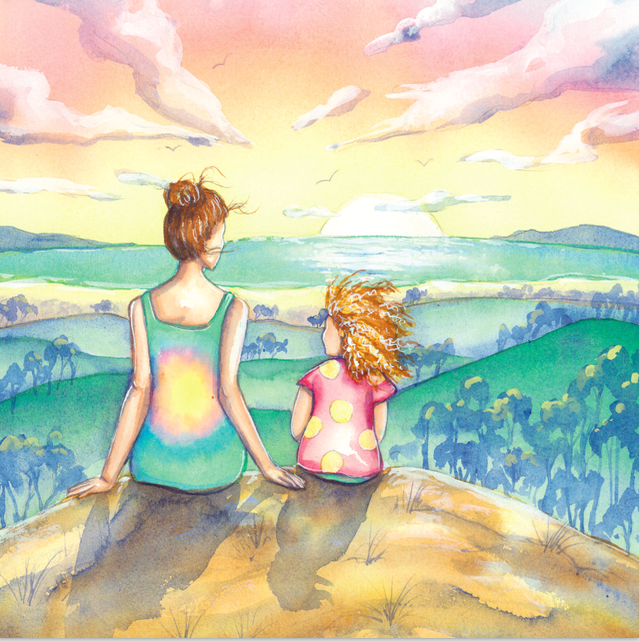 Please help me to make this book a HUGE success and support this extraordinary mother-daughter duo. You can do that NOW by purchasing copies of a limited hard-cover edition, signed by Tanya and beautifully packaged (they make outstanding Christmas and Channukah gifts, so you can stock up). And if the story and illustrations aren’t enough to melt your heart, you will also receive a link to the audio version of the book spoken by Mackenzie (trust me, this kid is something else). 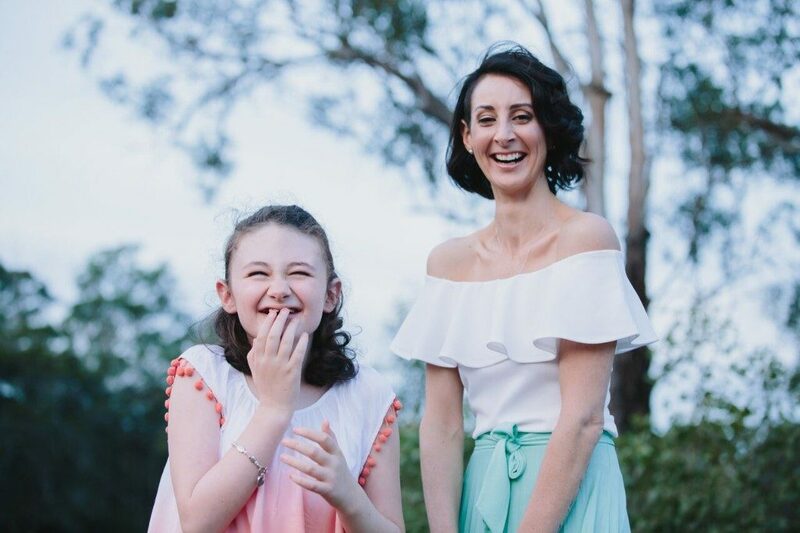 Tanya is in my Masterclass where she is writing a memoir about raising a child with special needs as a single mother, and the choices she’s made to live aligned with her soul purpose, in the face of adversity. She is passionate about empowering women who care for others to create inner freedom and joy no matter their circumstances and runs carer retreats for mothers with children with special needs. Mackenzie is a magical and confident imp of a girl who continues to triumph through challenges she has faced since birth. She is an exceptional storyteller, horse rider and piano player, and creates joy and laughter wherever she goes with her cheeky and hilarious disposition. A true creative spirit, she shares her unique vision of the world with all those whose lives she touches. 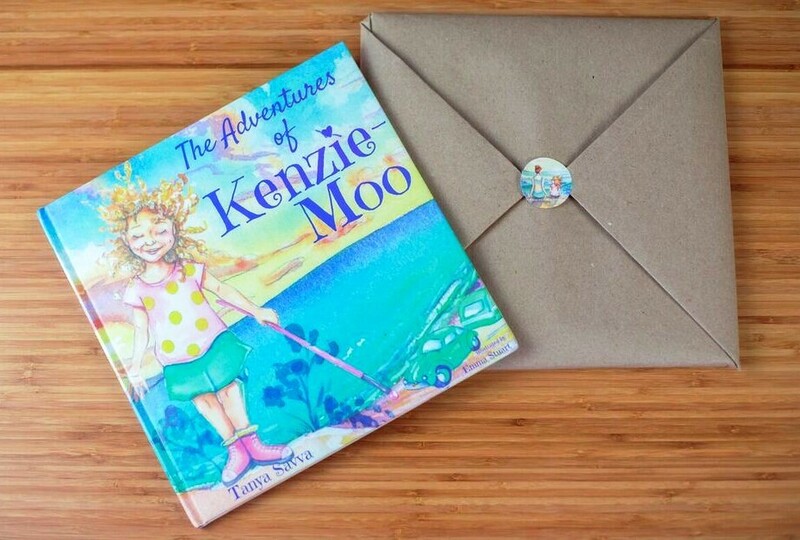 If you order your copy now, you will receive a limited edition of The Adventures of Kenzie-Moo in this gorgeous packaging, signed by the author. As a special bonus, you will also receive a link to the audio version of the book spoken by Mackenzie.